Home Music Win Tickets to Radiance NYE with Excision, Zeds Dead, and More! And just like that, with no more than a blink of an eye, we are already well on our way through November. The temperatures are officially dipping down, scarves and mittens are in full effect, and there just doesn’t seem to be a light at the end of the tunnel. Until now. Radiance NYE is setting forth for its inaugural year in Milwaukee at the Wisconsin Center with a bass heavy lineup that will be sure to keep you toasty this December. Attendee’s will get to enjoy the likes of Excision, Zeds Dead, Bear Grillz, Riot Ten, Whipped Cream, and Spock. If you’re looking to find a way out of the cold and into this heater than look no further because here at YourEDM we are giving our readers a chance to win some tickets! One lucky winner will receive a pair (2) of VIP tickets to the event happening on Monday, December 31st. A winner will be selected on Friday, December 14th so be sure to keep an eye out on your emails! You must be 18 years of age or older by the time of the event in order to claim your price. In case you don’t want to take the risk of not winning than don’t worry, you can still snag tickets on the Radiance NYE website! Advanced tickets for RADIANCE NYE start at $59. Advanced VIP tickets are $160 and include private entrance, private bar, private restroom, and private dance platform. Tickets day-of-show start at $130. The Wisconsin Center is a massive convention and exhibition hall located in the heart of downtown Milwaukee. For those traveling from Chicago, the venue is only three blocks away from the Amtrak station, with seven roundtrips running per day (six on Sunday). This article was first published on Your EDM. 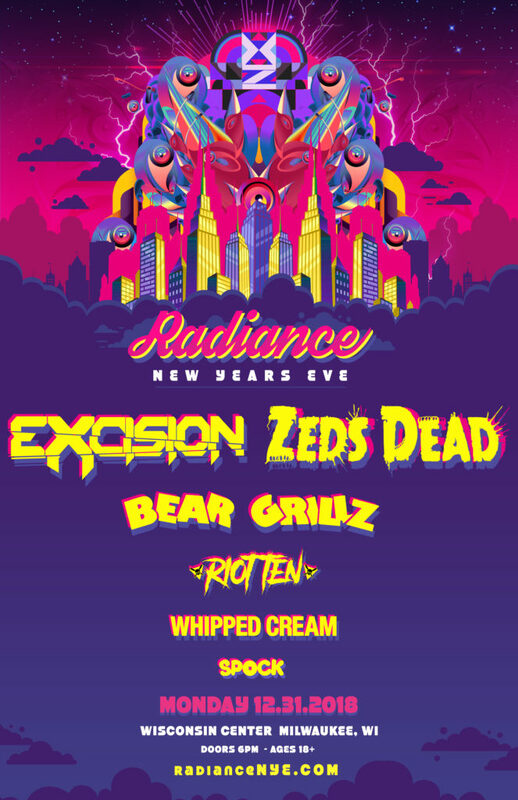 Source: Win Tickets to Radiance NYE with Excision, Zeds Dead, and More! Next articleDay 1? Starting your weight loss journey on Tuesday, 06 November 2018? Start here!